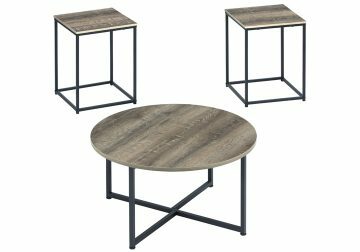 Sharp modern designs go a long way in delivering a simple and amazing look with the Wadeworth occasional table set. 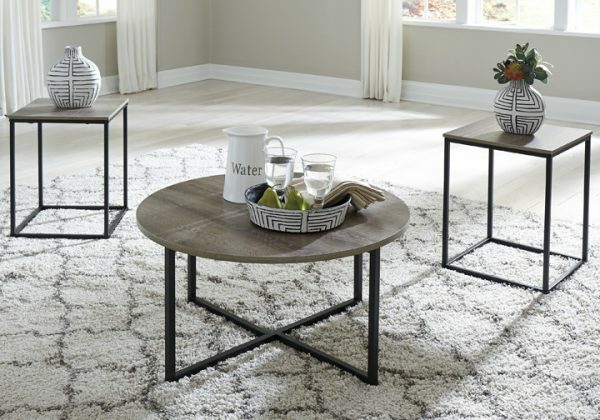 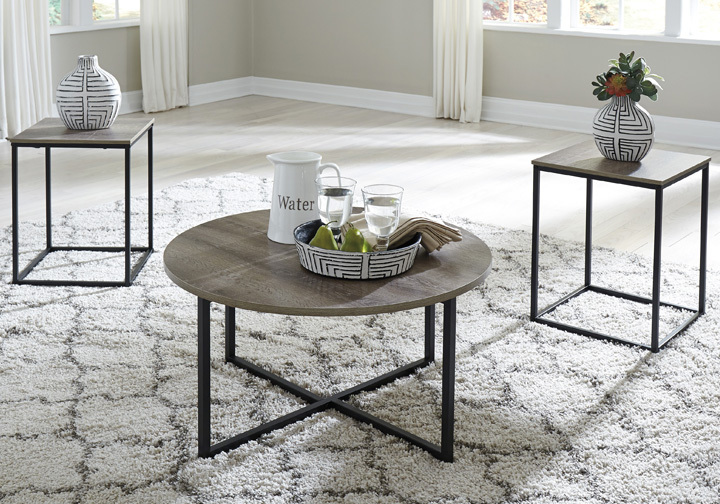 Black tubular open metal frame bases, especially the “X” base on the round coffee table, support the replicated wood grained finished tops for a smooth look that’s sure to impress. 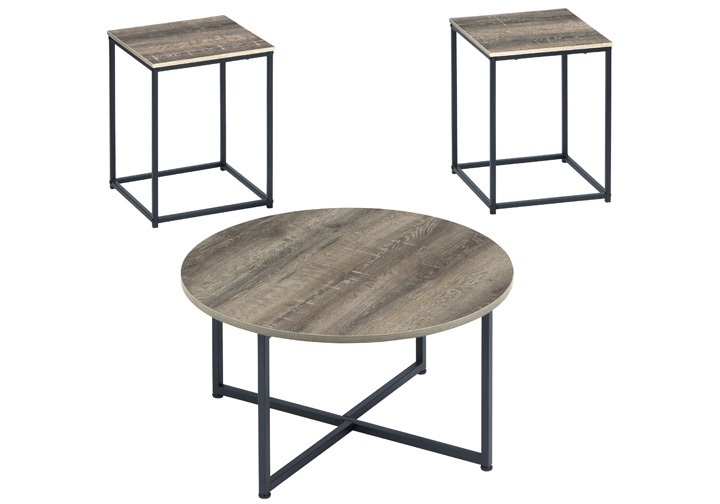 Wadeworth Two-Tone Occasional Series by Ashley. Table frames are made with tubular metal in a dark metallic finish and the table tops are made from engineered wood panels with print paper wrapped wood grain finish. 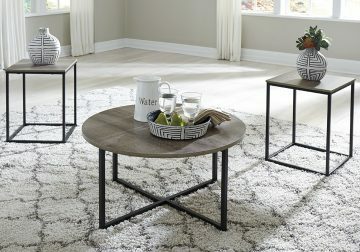 T103-213 is a round cocktail with square end tables.